Book your bus tour with a Hy-Line Ferry ticket, online or by the phone today! Any way you book, you're guaranteed to have a good time. Call (508)-228-0334 with any questions you may have! Enjoy a tour of the breathtaking island of Nantucket in the comfort of our new, climate controlled busses. Our friendly island tour guides take you away from downtown, and allow you to enjoy the natural beauty Nantucket has to offer. 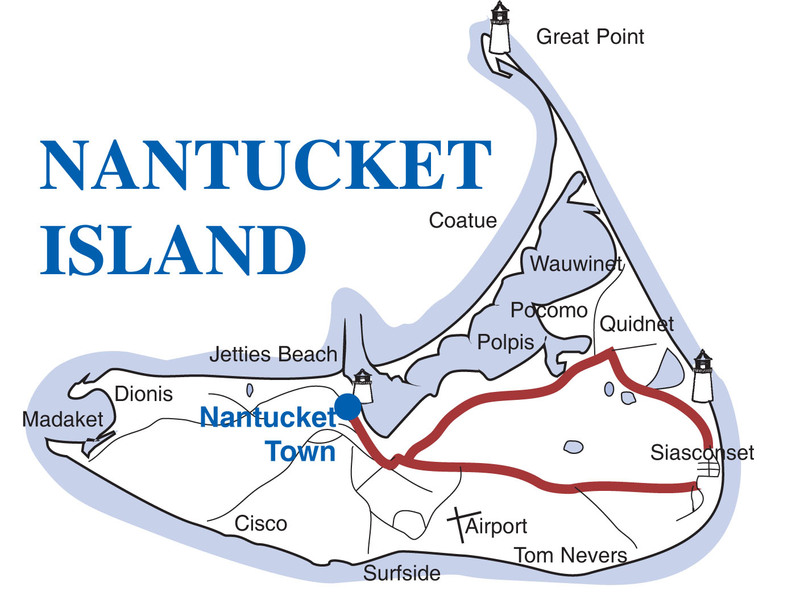 Nantucket is one of the first settlements in America. Nantucket's original Native American inhabitants, the Wampanoag people, lived undisturbed until 1641 when the island was deeded by the British. The original deeds to the island's land were divided 31 ways, and many families who live on the island today are distant relatives to the island's "Founding Fathers" and so the island began to grow. It wasn't until the whaling boom in the 1700's, however, that Nantucket gained some exposure and the wealth now associated with the island. Now, with it's cobblestone streets, quaint boutiques, pristine beaches, whaling museum, and year round festivals and attractions, Nantucket continues to be a favorite destination of people around the world! The National Park Service cites Nantucket, designated a National Historic Landmark District in 1966, as being the "finest surviving architectural and environmental example of a late 18th- and early 19th-century New England seaport town". During the tour you will enjoy the Old Mill, Sconset Village, Sankaty Head Lighthouse, the Oldest House, or the Jethro Coffin house, and much more! With plenty of photo opportunities, and lots to see this 1 hour and 15 minute tour will be fun for all ages! Visiting from New York, we didn't have a car to explore the island for our day trip. Nantucket Island Tours' tour was exactly what we hoped for! We got to see all the sights, learn a lot from our really friendly tour guide, and all in the comfort of air conditioning (a MUST in the summer heat). So glad we chose to spend an hour with you! I feel like we really got a feel for Nantucket on the tour, while not being to long for our young son. Perfect way to get our bearings and see all the sights without needing to bike or walk. I cannot believe how beautiful Nantucket is! I never would have made it to Siasconset and I am so glad I did! This is a must for any trip to Nantucket.